Located in an area known for its great restaurants and parks, you will be in the middle of real Prague without the high tourist prices. Plus, the main Prague sights are just a quick ride away! Hostel is located in Zizkov district in Prague 3, with bus to the Old Town just in front of hostels main door and only 5 min walk to several trams lines. If you prefer to walk than it takes 15minutes walk to the Old Town center of Prague. 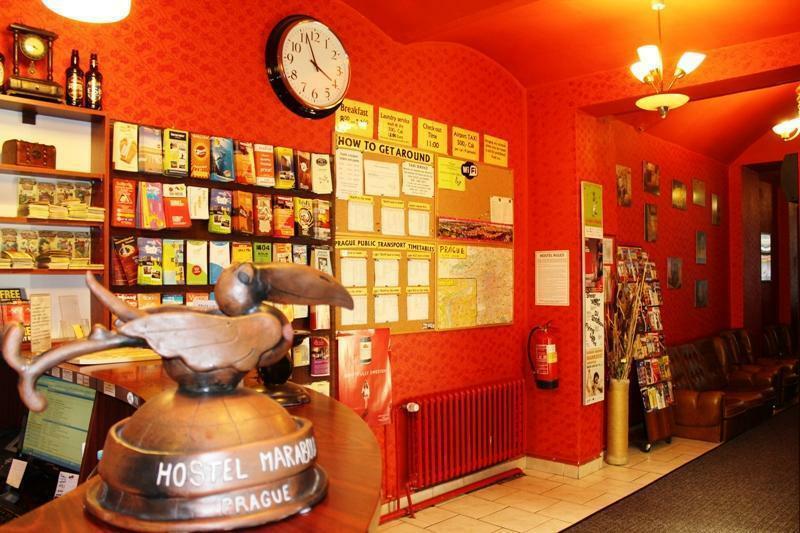 Hostel Marabou Prague is ideal for groups as well as for individuals who wants to meet other travelers. 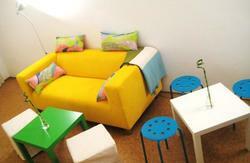 Hostel offers spacious dormitories and comfortable and quite private rooms. In our hostel you will find free internet, well decorated large common areas as well as the friendly and accommodating staff. If you travel on budget or if you just prefer to cook by yourself, our fully equipped kitchen gives you the opportunity to cook your own meals at any time and save some money on your journey. From the airport: Walk out of arrival terminal hall and catch the bus no 119 to Dejvicka (last stop). At Dejvicka jump on the green metro line A (direction Skalka is also written on train) and get off on the 8th stop Flora. There you change to the bus no. 136 to Cerninova (3rd stop). Get off on the 3rd stop Cerninova. When you get off the bus turn around and walk across the pedestrian crossing next to the bus stop after you have a green on traffic lights. Hostel is located on the opposite side of the road. After crosswalk turns left and walk few steps back down the hill in the direction from where the bus came. We are on main street Konevova with blue number 55. You can also use a shuttle service in the airport or contact us to arrange airport pick up. From the Main Bus station Florenc: When you leave the station use the pedestrian underpass to cross the road to reach bus station. To get to the right bus stop make sure you keep left when you walk from bus station, exit the underpass with escalators with orange sign Bus to the Zizkov district above it. Do not enter subway. Bus stop is just on the top of escalators as you can see. Jump in any bus either 133 or 207 and go to the 3rd stop Cerninova (direction Ohrada 207 or Sidliste Malesice 133 is also written on bus). When you get off the bus turn around and walk across the pedestrian crossing next to the bus stop after you have a green on traffic lights. Hostel is located on the opposite side of the road. After crosswalk turns left and walk few steps back down the hill in the direction from where the bus came. We are on main street Konevova with blue number 55 on your right hand side. From the Main Train station Hlavni Nadrazi: Right in station hall take escalators to enter subway. Make sure you direction sign say Letnany. 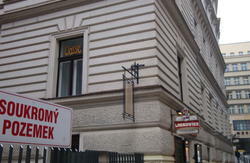 Jump into red line, direction Letnany is also written on train, and get off on the first stop Florenc. To get to the right bus stop make sure you keep left when get off the train, walk up the stairs, keep right and use escalators with orange sign Bus to the Zizkov district above it. Bus stop is just on the top of escalators as you can see. If you do not see bus stop than you probably took long escalators on the other side of metro station after got off train, so just keep left and bus stop is on the opposite site of road. Jump in any bus either 133 or 207 and go to the 3rd stop Cerninova (direction Ohrada 207 or Sidliste Malesice 133 is also written on bus). When you get off the bus turn around and walk across the pedestrian crossing next to the bus stop after you have a green on traffic lights. Hostel is located on the opposite side of the road. After crosswalk turns left and walk few steps back down the hill in the direction from where the bus came. We are on main street Konevova with blue number 55 on your right hand side. From the Main Train station Hlavni Nadrazi: If you dont feel to change lines and use subway you can also take direct tram. As you leave the train station and enter the park turn right. At the end of the park you will find a tram stop Hlavni Nadrazi. Take a tram 9 in the right direction (stop at park side of the rail) and get off on the 9th stop Biskupcova. Keep on walking in the same direction as the tram. The second street on the left, Konevova, is already our street. Keep walking straight and cross the street on traffic light, turn left. Pass by bus stop Ohrada, where you can either take a bus 133 or 207 just one stop to Cerninova or you can walk two minutes down the road. Hostel is only few metres behind next bus stop Cerninova. We are on main street Konevova with blue number 55 on your right hand side.